Click Here to see Seacrest Homes for Sale! Seacrest’s tranquil charm is a perfect place to have a place to call home. 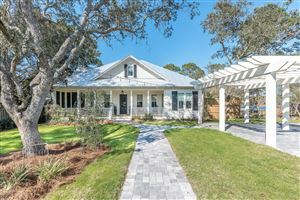 Situated at the eastern end of Scenic Highway 30A, this eclectic mix of classic Florida beach houses and brand new vacation homes is mainly residential and highly natural. Fishing, kayaking, swimming, golfing, and good old-fashioned beachgoing are among the traditional forms of recreation here, but there’s also great hiking and birding at Camp Creek Lake.